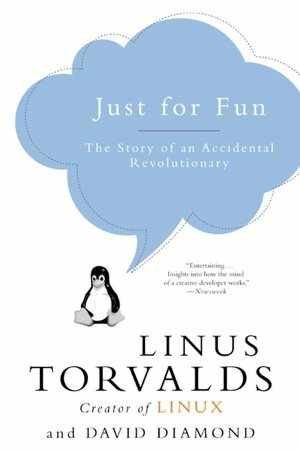 A while ago, my colleague Wouter recommended this book titled Just for Fun – The Story of an Accidental Revolutionary written by Linus Torvalds. The author needs no further introduction as he’s well known as the initiator of the Linux kernel and the most excellent Git revision control system. I immediately ordered myself a copy of this book and finished reading it last weekend. I must admit that this was quite a fascinating read. The writing style is very entertaining and just plain witty at times. The book consists of three major parts. The first part, titled “Birth of a Nerd”, describes the early life of the author in his home country Finland, how he got introduced to computers by his grandfather, etc. … . The second part, titled “Birth of an Operating System”, is probably the most interesting part for us geeks. Here Linus describes how he started hacking on software while he was at university. At first he started working on a terminal emulator for Minix in order to learn about the x386 CPU instruction set for the PC he bought. This terminal emulator later grown into the first version of the Linux kernel after he implemented more and more Unix system functions. He further elaborates how these humble beginnings further evolved into the Linux operating system as we know it today. Truly an amazing story! The last part of the book, titled “King of the ball”, discusses some varying topics like intellectual property, why open-source software makes sense and even the meaning of life. This section contains some very interesting perspectives regarding these topics. In conclusion, I very much liked reading this book. It’s a fast and easy read and you don’t even have to be a geek to make sense of this great story. This book is definitely obligatory reading for everyone who’s even slightly involved with open-source software.